The KeyBank Auto is your answer to a total automotive key storage system. It offers constant reliable access and control. 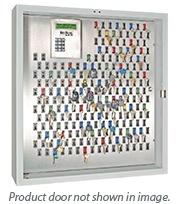 Keys are concealed in a hi-tech, efficient cabinet. 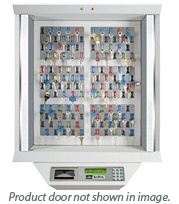 This automotive key management system can expand to 1000 keys as your business grows. The KeyBank Auto features KeyPro software with a special automotive mode that enables special features and functions such as listing SmartKeys by stock number.